I'm planning to spend a week at American River on Kangaroo Island in mid-November, and I've started looking at the work that I did when we were there during the summer of this year. I'm looking at the scoping work with the digital camera to see what would be suitable for large format photography. All the 5x4 negatives that I'd exposed on the last trip were accidentally cross processed as E-6---that is, processed as slide film. We weren't able to save them. 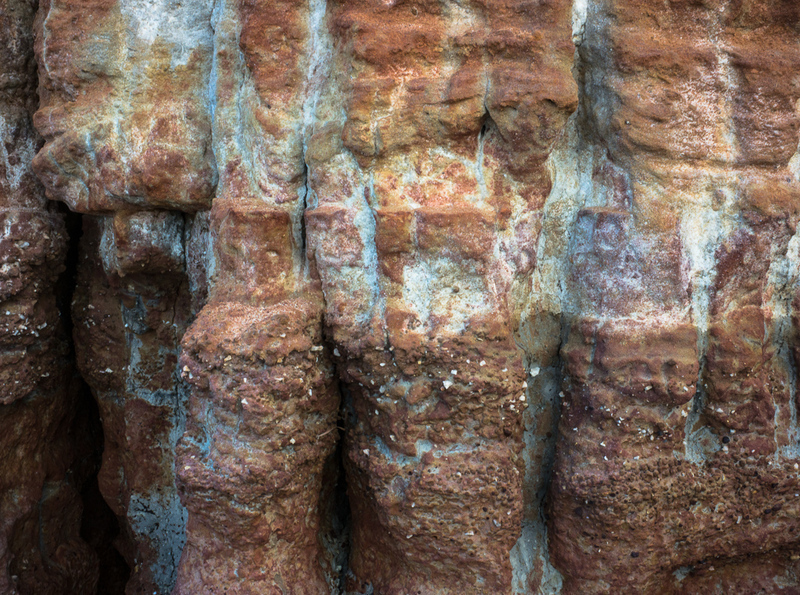 The above picture of Red Cliffs on Backstairs Passage is one image that I would like to reshoot in large format. 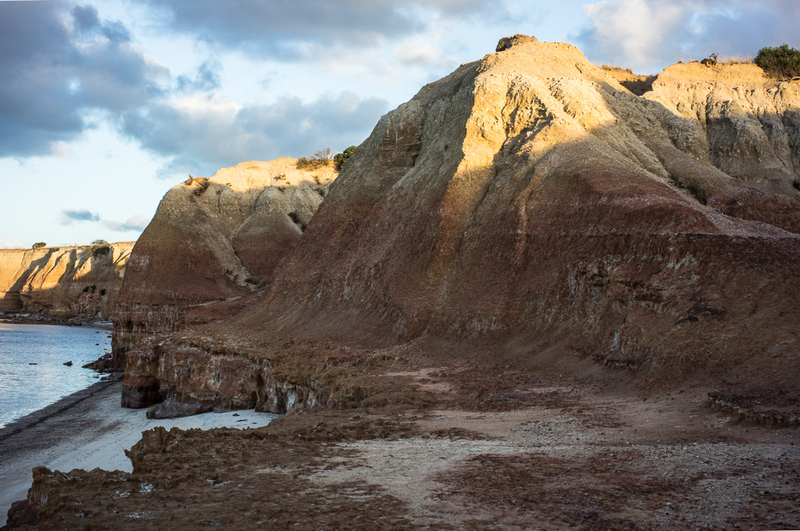 I did a lot of scoping of the base of the cliffs on the foreshore, but the cliff top views work better. I've upgraded the operating system of the 27" iMac to Mountain Lion, now that it has a new hard disc courtesy of Apple. I can now connect with my computer in Adelaide. I've also upgraded some of the photographic software--Lightroom and Silver Efex Pro--that I regularly use in my digital darkroom. 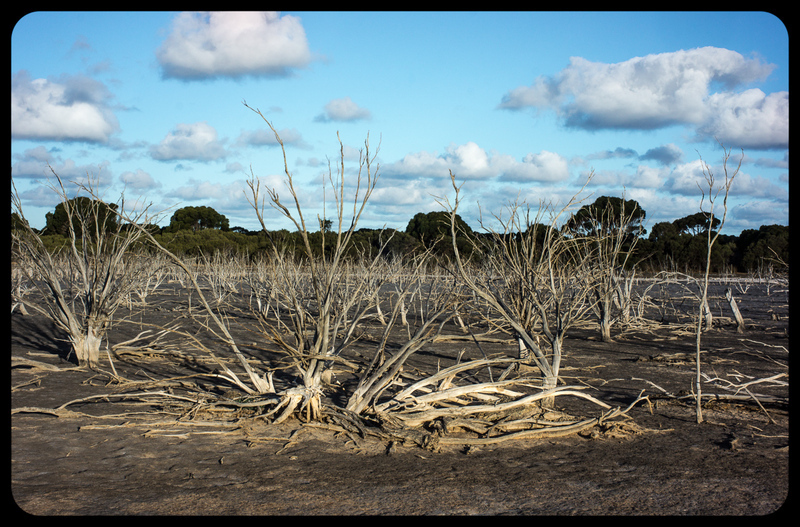 This picture of, what I take to be a salt lake, was snapped near D' Estrees Bay on Kangaroo Island. It was next door to the Cape Gantheaume Conservation Park. I had been looking for some salt lakes with easy acces without much success. We just stumbled upon this one on our way back to American River. It was the last afternoon of our holidays on the island. We left for Adelaide the next day.